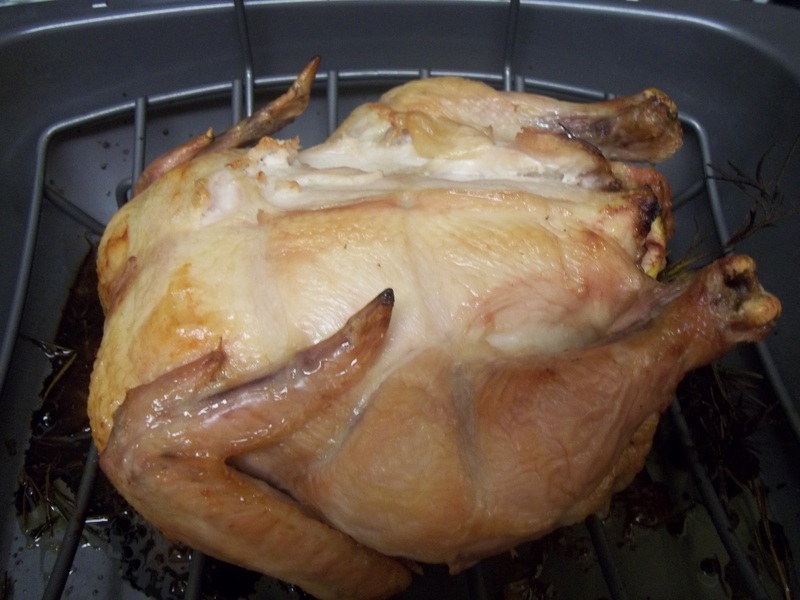 Because I adore my mother’s cooking, I decided to celebrate Mother’s Day by roasting a chicken. There is something so familiar and comforting about home roasted chicken; it made me think of Mom. I bought a roasting chicken and poured lemon juice over it, as well as sprinkled it with salt, pepper, and celery seed. I then stuffed the inside with lemon wedges and fresh rosemary. Bake at 375 degrees for about 75-90 minutes. Home cooking at its best! I am using the chicken to top my lunch salads this week. I try to stay away from deli meat or roasted chickens from the deli because my own is just so much fresher. In addition to topping my salads with freshly roasted chicken slices, I also made chicken salad with Lemonaise. 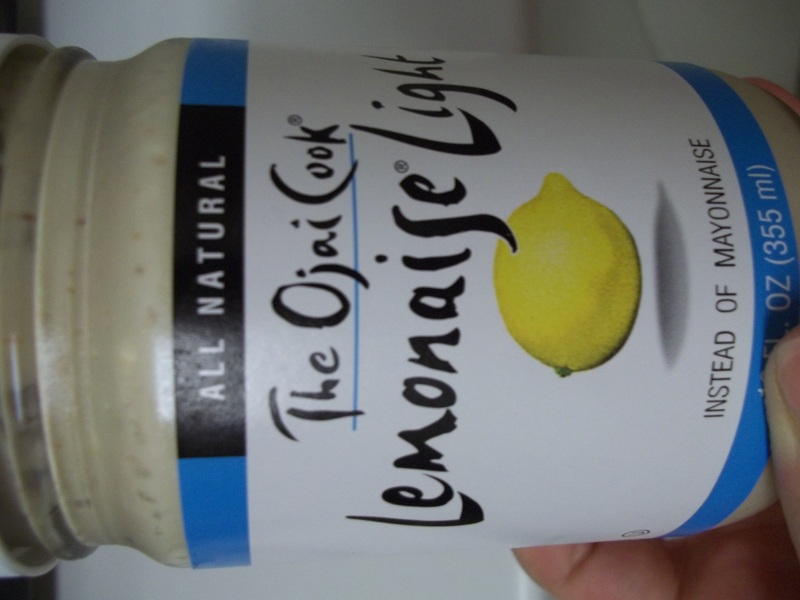 Lemonaise is a mayonnaise alternative… it has several spices and flavors already mixed in it, including mustard seed, lemon juice, garlic, red pepper, and paprika. 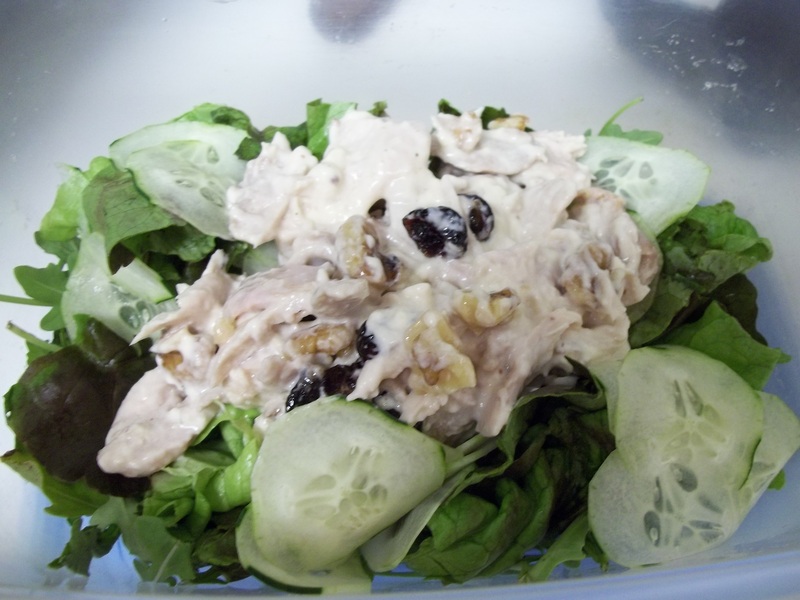 It is perfect for making tuna and chicken salad because it is already seasoned. I cut a few slices of home roasted chicken and pulled apart the pieces with two forks. I then added a tablespoon of lemonaise, as well as some craisins and walnut pieces. A perfect salad topper! Thanks, Mom, for showing me how to make a perfectly roasted chicken and how to use it so many ways!